What do you do when you've finished your novel, published it, and are ready to embark on the next project? I decided to stretch my writing envelope, to try some characterizations, genres, and topics that I had not attempted before. One consequence of that experiment in writing is the free ebook Tri Odd, three flash fiction stories where I set some writing ground rules that were--for me, anyway--non-typical. I wanted to write about characters I didn't like or admire. 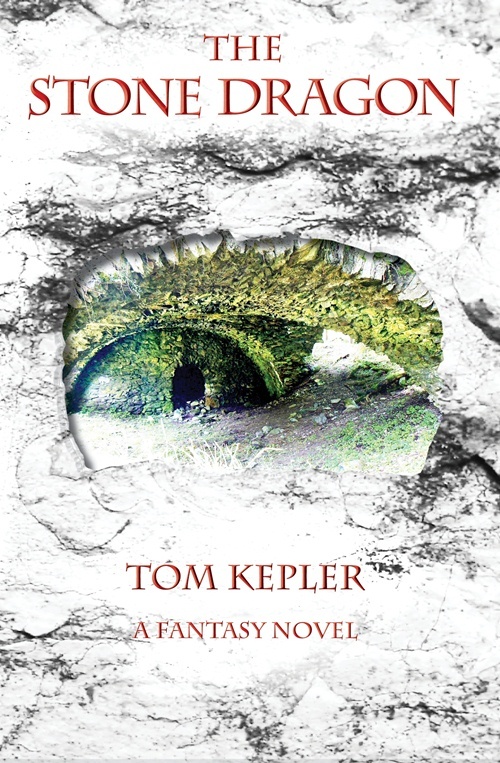 I wanted to try writing something besides fantasy, to "cleanse my palate" after my hundred-thousand-word novel The Stone Dragon. I wasn't tired of fantasy; I just wanted to try something new. The end result was a science fiction story, a thriller/horror story, and a crime story. Macabre? Quirky? Maybe, but experiments under a thousand words. I wasn't ready to channel Stephen King for a couple hundred thousand words. "Cull" is a story about a retired English teacher, a wiry, elderly woman who is very much in control . . . and as hard as nails. She loves rabbits, breeds them for show, and has organized her life just as she wants it to be. Then an interruption occurs and the story begins. "Cull" was originally published in Metazen, an online daily fiction site which is now defunct. "In the Beginning" is a science fiction story that was fun to write. I enjoy reading science fiction but had not ever written in the genre. The story provides a science fictional perspective to the Biblical story Genesis and how humanity has always had this thing about following directions. It was published by the online flash fiction website 365tomorrows, on New Year's Day. "Spider" is a thriller/horror story. I'm not sure it can be classified as "horror" because I don't wallow in the creep factor, but there is a slow and subtle sidling up to the macabre situation that arises when one fixates on spiders in the month of October. The story was originally published by the website Every Day Fiction, on Halloween Day. One powerful characteristic of flash fiction is the power of inference. In one thousand words or fewer, the reader must be provided clues so that the ramifications of the storyline can be inferred. The words stop but the story continues in the imagination of the reader. I enjoyed using that writing technique in these stories, of providing a kicker. In a very real way, flash fiction is much like poetry in that every word is composed in a manner to provide a "more than usual meaning." 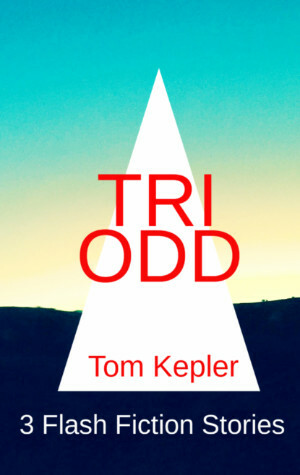 Tri Odd is available as an ebook for free at the following links. Feel free to read the stories, and hopefully you will be inspired to read more of my writing. My wife and I are fans of Netflix's Chef's Table cooking series. 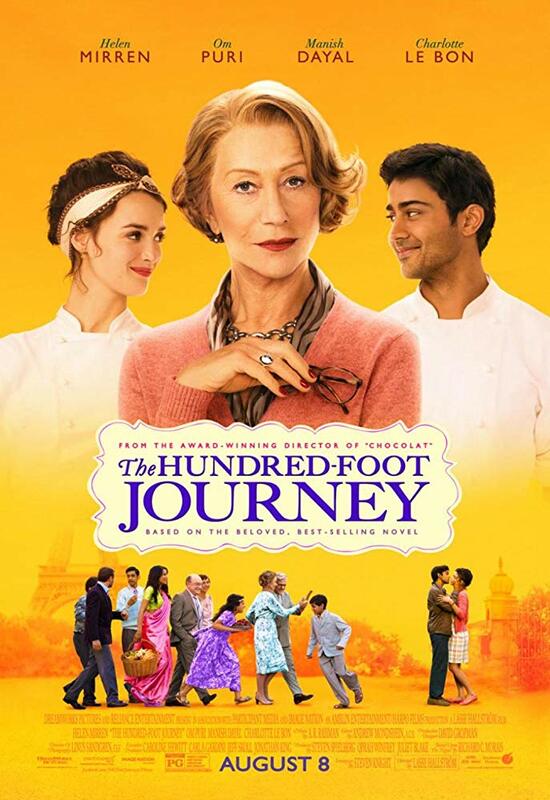 It inspired us to watch the wonderful cooking movie Chef, starring Jon Favreau about a "taco truck" cook and his family, and now has inspired us to watch the movie The Hundred-Foot Journey, streaming now on Netflix. The movie provides a great evening's entertainment and is an inspiring and thoughtful production that includes a side order of romance. The satisfying resolutions of the conflicts of the film are founded in the consciousness of the individual characters. The bigotry and violence that occur are ultimately resolved not by social awareness or education but by the personal insights and values of the individuals involved. Love, acceptance, integrity, and compassion are the pillars of this movie, yet those values are not over-played. The movie progresses with its dramatic and comedic elements, unreeling seamlessly the choices and actions of the characters. And most of this is centered in the beautiful French countryside. The main romantic and dramatic pairings in the movie are Helen Mirren (Madam Mallory), restaurant owner, and Om Puri (Papa Kadam), family patriarch, the autumn-romance couple; and Manish Dayal (Hassan), chef extraordinaire, and Marguerite (Charlotte Le Bon), sous chef, the younger romantic interest. However, romance is not at center stage; it is a tension and an unspoken hope throughout most of the story, secondary to the ambitions and anguishes of the characters that weave the fabric of the story. The acting in the movie was a nice touch--masters of the craft in Mirren and Puri combining both drama and comedy in a believable mix, Dayal and Le Bon providing a refreshing reminder of the winsome power of discovered love. The directing consists of subtle beats and light touches; the costumes are believable, lovely, and at times outrageous. I just have to come out and say that the manner in which the conflicts of the story are resolved is immensely satisfying. The action reveals that it is possible to see what needs to be done and then to make the correct decision. In this movie, the main characters search for meaning and fulfillment in their lives. They wrestle with their duties, ambitions, and sorrows, and that struggle is believable. They make their way through, though, and complete the journey to become individuals of balance and integration. Nowadays, there is so much attention placed on the crudity and roughness of the world. This movie was a refreshing reminder that we define our world and that we need not be scarred by the vicissitudes and challenges we face. We can prevail. We can find beauty and love. We can make a positive impact. This movie certainly did that for me. I haven't published anything for a while beyond my blog--and I'm interested in getting back into my independent publishing part of my writing. Therefore, I'm putting together a free ebook of three flash fictions stories that were published in three online magazines a little less than ten years ago. I mention these three and more in a blog post, "A Cat Has Nine Lives--How Many a Writer?" that summarizes my publishing over the last years. I've tried quite a few different genres and formats! 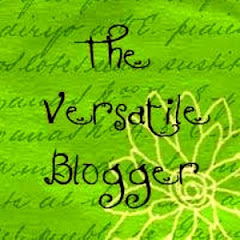 I am glad that in this small way I'm refreshing my publishing sites, reviewing the steps of publishing, and reviving my writing beyond blogging. I'm also enjoying reminding myself how to do some basic work with photos in order to create blog headers and book covers. All good--and useful--skills. It's a cold, cold Iowa winter, my wife's gone on business, and I'm looking forward to exploring a new publishing venture. Without cost to me or my readers, no worries! I'll let you know when the ebook is available. 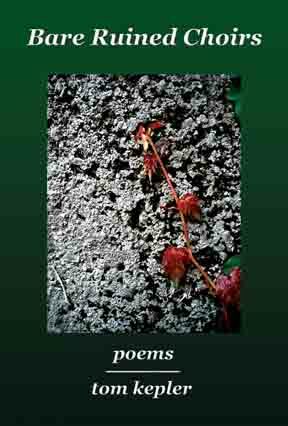 Nine Years Since Publishing "Bare Ruined Choirs"
It's been nine years since I published my poetry book Bare Ruined Choirs, and I'm still proud of those poems. Writing poetry is certainly different than prose--more than usual meaning and manner, to paraphrase the Romantics. Writing those poems took time, often years. I was in no hurry to "finish" a poem; the process of revising and refining itself was fulfilling. The poems in the book suggest the life cycle of a relationship, from first meeting to last good-bye. Autobiographical? Of course . . . but not exactly. Beginning with personal experience or emotion, the process of refinement was a movement from personal and specific to universal. I think this is true of all art, discovering the ocean in a drop of water. So in celebration of how those poems resonate with the universal ocean of life, of which my poems and I are but a drop, I post today these words and cover photo of my book. 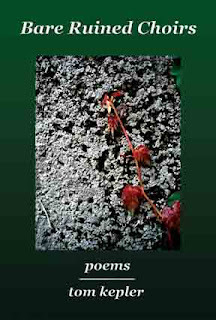 Here is a link to two poems from the book, audio recordings by me of "Sleeping Magnolia" and "I Forgive Your Death."